WA’s energy generator and retailer Synergy has been granted a State approval to enter into a joint venture with leading infrastructure investment company DIF and Australian industry super fund Cbus for the development of large-scale renewables projects in Western Australia. 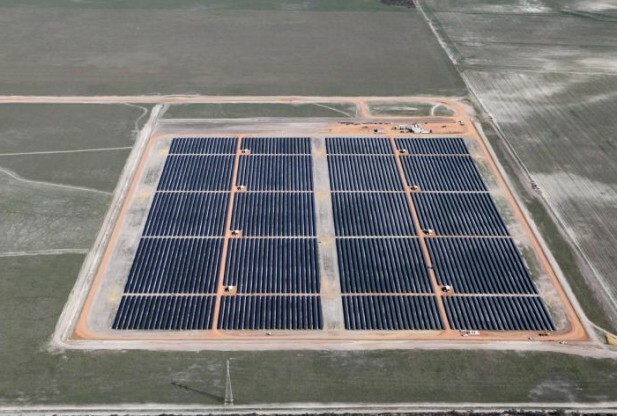 The approval will see the JV partners deliver Stage Two of the Greenough River Solar Farm (GRSF2) south of Geraldton, increasing its capacity from 10MW to 40MW; as well as the refurbishment of Albany Grasmere Wind Farm. The three companies, which established ‘Bright Energy Investments’ under the joint venture, are also undertaking preparatory work on the development of a further proposed renewable energy project in the Warradarge Wind Farm (WWF). WA Energy Minister Ben Wyatt said ASX-listed diversified engineering and infrastructure company RCR Tomlinson has been awarded the Engineering, Construction and Procurement (EPC) for the expansion of GRSF2, with an immediate project start and targeted completion in the second quarter of 2019. “The McGowan Labor Government is delighted to approve the partnership between Synergy, DIF and a large Australian industry superannuation fund for the development of significant renewable projects in the SWIS,” the Minister stated. He said the stage two of the Greenough River Solar Farm, the refurbishment of Albany Grasmere Wind Farm and the proposed Warradarge Wind Farm demonstrates the State Government’s commitment to ensuring there is a sustainable plan for the State’s transition to a cleaner energy future. “The Mid-West is emerging as the epicentre for renewable energy projects in this State, comprising a land area amounting to one-fifth of the size of WA. The region also contains a diverse natural environment, which can be utilised to generate economic opportunities,” Mr Wyatt continued.